As Director of Education, Alexis is responsible for overseeing the Keegan PLAY-RAH-KA educational and family production programming. As Director of Administration, she helps the artistic leadership team administratively with business tasks, contract management, volunteer submissions, and donor management. She also supports Keegan’s grant programs and serves on the Development Committee. 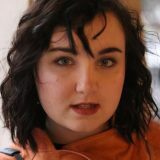 She has been on the stage management team for Chicago, Big Fish, Outside Mullingar, What We’re Up Against, The Lonesome West, Next to Normal, American Idiot, The Magic Tree, Cat on a Hot Tin Roof, HAIR, An Irish Carol, A Few Good Men (Ireland and US), A Behanding in Spokane, August: Osage County, Spring Awakening, 25th Annual Putnam County Spelling Bee, National Pastime, A Man of No Importance, and RENT. She previously taught and directed theatre to middle school students in the Fairfax County Public School district for 10 years. She received her Masters in the Art of Teaching from The University of Southern California and her Bachelor of Arts in Dramatic Arts from St. Mary’s College of Maryland. Magenta is a recent graduate of The University of California Santa Cruz and is a Keegan Theatre Fellow. At UCSC she majored in theatre, focusing on directing and theatre education. Her most recent projects were Love and Information (Director), Gruesome Playground Injuries (Assistant Director), and Monuments in Entropy (Collaborator), Lincolnesque (ASM), and As You Like It (ASM). She has taught with Shine! Children’s Theatre, Young Writer’s Program, ArtsBridge, and has been with Keegan PLAY-RAH-KA since 2017. Alongside education, Magenta works on social media and marketing and occasionally assistant stage manages shows with Keegan. Theatre education is important to Magenta because it gives students the chance to imagine the worlds they want to create and to solve problems collectively. Jordan Clark Halsey is professional actor and playwright living in DC. A recent graduate from American University with a degree in Theatre Performance, Jordan is also a co-founder of Post Shift Theatre, a group that marries theater work and the hospitality industry. Jordan joined the Keegan PLAY-RAH-KA team in January 2017 and has worked as a teaching artist and music director for several programs. Theater education provides a chance for young artists to explore their own self-expression while growing as a community. The skills acquired from theater – empathy, creative problem solving, inclusiveness – are invaluable to anyone growing up in today’s world. I hope that young artists can learn about themselves and others in a wildly creative and fun setting: the theater. 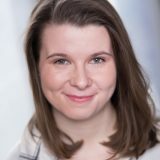 Anne graduated from Ohio Wesleyan University, double majoring in Theatre and Biology, and also completed training at the National Theatre Institute with the Eugene O’Neill Theatre Center. 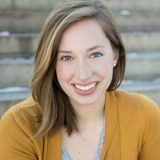 In addition to being a fresh face with the Keegan PLAY-RAH-KA team, Anne joins the Keegan staff as Teen Projects Coordinator. 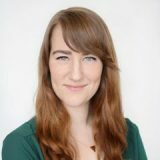 As an actor in DC, she is a company member with Synetic Theatre and has performed with Pointless Theatre and TBD Immersive. Anne is a firm believer that theatre education is a vessel for successful learning. Whether a student wants to be an actor or study plants in the rainforest, theatre education allows students to enjoy the learning process and hopefully apply the skills they acquire to their everyday lives, in addition to the stage! Regie is a spoken word pioneer having won The Nuyorican Poets Cafe Grand Slam and later taking top prizes in three National Poetry Slams. 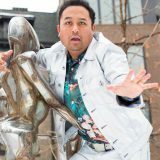 As a theater artist, he received three New York Innovative Theater Award Nominations for his work in Too Much Light Makes The Baby Go Blind with a win for Best Performance Art Production. He has shared the stage with Patti Smith, Allen Ginsberg, and, through Howard Zinn’s Portraits Project at NYU, has performed with Stanley Tucci, Jesse Eisenberg, and Lupe Fiasco. Regie is on faculty at The Kennedy Center Arts Education Program, The Virginia Commission for the Arts and The Washington DC Poetry Out Loud Coach. He received awards from Poets & Writers for his work teaching at-risk youth at Bellevue Hospital. He has taught at Banff Arts Center, Kundiman and was NYU Artist In Residence for the Asian American Pacific Studies Department. 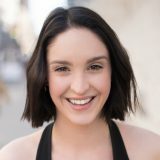 Alison is a teaching artist working with arts integration in DC public schools who has taught dance throughout the metropolitan area for over 25 years, including: Academy of the Maryland Youth Ballet, UMBC, Georgetown University, Towson University, Dawn Crafton Dance Connection, and Imagination Stage. 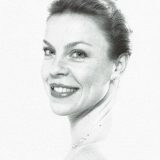 She trained at the Maryland Youth Ballet in classical ballet and jazz, continuing in NYC at the Joffrey Ballet School. Her professional career spans classical ballet to musical theatre and she holds awards from the state of Maryland for outstanding solo performance. Local companies include: Eric Hampton Dance, Bowen McCauley Dance, Rincones and Company, Dancesmith, Bowen McCauley Dance, Karen Reedy Dance, The Washington National Opera, Arena Stage, and The Keegan Theatre. Lauren Farnell is a recent graduate of American University where she studied musical theatre and Spanish translation. 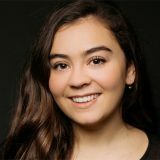 She was most recently seen in Striking 12 with Free Range Humans in Germantown, MD, and is currently understudying in Imagination Stage’s 2018-19 Winter Repertory. In addition to performing and educating, Lauren composes music and enjoys playing her numerous stringed instruments. She believes teaching theatre is vital because it gives kids the space to be their goofy, authentic selves, and a boost of confidence in their creativity in a world full of “nos”. Stephanie Wilson is an actor, singer, and dancer in Washington, DC. 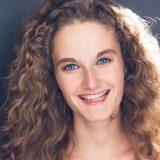 Since graduating from American University in 2016 with a BA in Musical Theatre, she has acted professionally at Imagination Stage, Adventure Theatre, Studio Theatre, Rorschach Theatre, and Theater Alliance. When she’s not acting or teaching, you may catch her leading a guided tour of the historic Ford’s Theatre. The theatre provides a space for possibility – a place to transform ourselves, to imagine “what if.” Theatre education gives us the tools to think up stories and bring them to life, in whatever way we want. Through storytelling, we learn how to work together, and we help each other make sense of the world. Theatre helps remind us that as with our stories, we can shape and be the author of our lives, our reality. 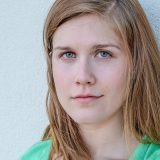 Megan Ann Robbins is a professional actor and teaching artist in the DMV area. She is thrilled to be joining Keegan PLAY-RAH-KA as a teaching artist. Megan is passionate about the transformative art of theatre and how it can empower young artists. Originally from Cleveland, Ohio, Megan graduated from American University with a BA in Theatre Performance. Megan believes that empathy, collaboration, and focus are also crucial skills for theatre and life. Sharing the wonders of theatre arts with young minds empowers them to share their own unique voices and shape their world. 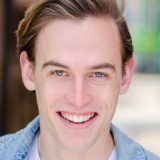 Clancey is a DC-based actor and director brand new to Keegan and Keegan PLAY-RAH-KA! A proud graduate of American University, Clancey is now the Artistic Director of Post Shift Theatre, a company that integrates hospitality values with live theatre. When she’s away from Keegan, Clancey can be found teaching the arts in Virginia with Moonlit Wings Productions or waiting tables. The lessons we learn in the arts are critical to who we are as people. Taking risks on stage, working as an ensemble, and offering support and understanding to cast mates teach children empathy, teamwork, compassion, and adaptability. I would never be the person I am without theatre education, and I am so grateful I now get to serve as a teaching artist. 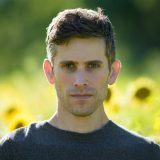 Acting as primary dramaturg at Keegan Theatre, Clarke has worked on a wide range of productions and projects, among them: Hamlette (Keegan PLAY-RAH-KA), Stones in His Pockets, Top Girls, Other Life Forms, and The Baltimore Waltz. Before joining the Keegan Theatre team, he completed a Theatre Master of Arts at The University of Ireland, Galway, focusing on dramaturgy and devised performance. While in Ireland, he facilitated Irish cultural works, including the plays 100 Shades of Grey and Memories. He continues this devising process for Keegan PLAY-RAH-KA, acting as facilitator for teen classes and mentoring students in the creation and presentation of their own original works, including 2017’s Techno Terror and In Our World(s) and Summer 2018’s In My City. Fostering creativity, problem solving, intrapersonal communication, and self-confidence, theatre education provides students with the tools they need to change their world. It gives students an avenue for personal expression. It embraces those that see themselves as “different.” By performing, writing, and playing, students gain a greater outlook on life, as individuals, as members of the community, and as members of the human race. 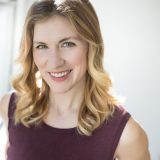 Emily Dwornik is a graduate of James Madison University and a former Tour Actor/Director with Missoula Children’s Theatre. She is passionate about arts education, and particularly theatre education, because it is so vital in the development of a child as a reminder to constantly incorporate play into your life. Cultivating an appreciation and excitement for the arts at a young age can only benefit a child by helping them develop their personal creative voice and find ways to relate to others and the world around them. Duane Richards is an actor, writer, and director working in the DMV area. 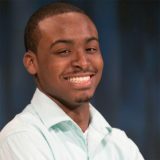 A graduate of the Duke Ellington School of the Arts Theatre Department and a recent graduate of Hampton University (School of Journalism and Communications), Duane has spent his post graduate career participating in a multitude of theatre-related programs involving teaching, writing, and performing. Duane is very excited to be joining the Keegan family and is incredibly passionate about arts education for young people. This passion is described in detail by his article “God Bless the Artist: A Frustrated Plea to the Masses” for the Odyssey Online. 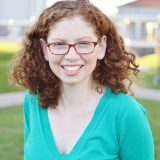 Allison is a stage manager and teaching artist from the DC area. She has a B.A in Theatre and Theatre Education from James Madison University. She has worked with Keegan PLAY-RAH-KA as both a teaching artist and as a stage manager for the family productions. Theatre education is important because theatre is all around. It is a cross curricular subject that promotes creativity, language skills, fun, and community building! It takes a village to create something wonderful in theatre, so it is important for young artists to be part of the community. 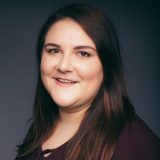 Beatrice (Bea) Owens is a recent graduate of the Royal Conservatoire of Scotland where she received her Masters in Musical Theatre Performance. However, when she’s not traveling abroad she is a proud part of the DMV theatre community and the Keegan PLAY-RAH-KA family. Bea believes that theatre arts education is essential for nurturing empathetic and creative young people. She has worked with Keegan Theatre, Camp Robindel for Girls, and S.T.A.R. at the Director’s Company in New York to use theatre as a means to elevate children to be the best they can be.